While the Bharatiya Janata Party (BJP) government’s move was slammed by the former chief minister, Uttar Pradesh Chief Minister Yogi Adityanath said the decision was taken in the interest of law and order situation. A major political controversy erupted on Tuesday when Samajwadi Party (SP) president Akhilesh Yadav was prevented by the government’s security staff from boarding a plane to Prayagraj where he was scheduled to attend a programme of the Allahabad University Students Union. He was about to board a chartered flight at 11 AM when the security officials prevented him from entering the plane. There was a minor scuffle between the security personnel guarding Akhilesh Yadav, who is a former chief minister of Uttar Pradesh, and the policemen assigned the task of preventing him from boarding the plane. 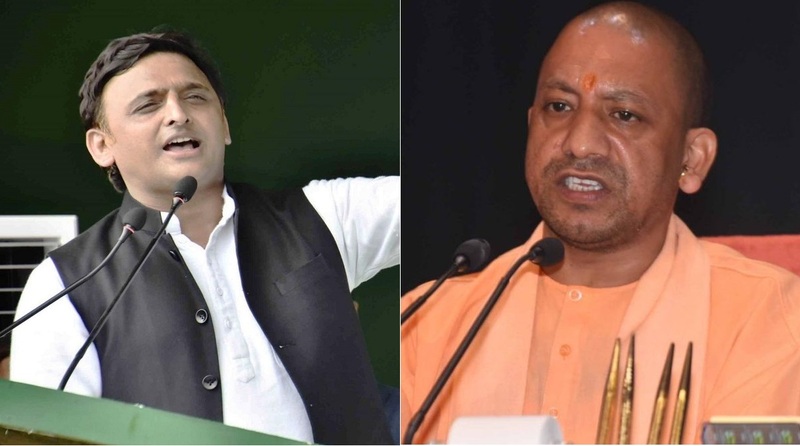 While the Bharatiya Janata Party (BJP) government’s move was slammed by the former chief minister, who in a statement termed it as “remote control politics of two and a half men”, Uttar Pradesh Chief Minister Yogi Adityanath said the decision was taken in the interest of law and order situation. The chief minister alleged that the visit would have created a law and order problem. Yogi said the decision was taken on the advice of the Allahabad University authorities and the district administration. The chief minister said the Samajwadi Party is known for “spreading anarchy” and if Akhilesh Yadav had gone to Allahabad University, then there was a possibility of clashes between rival student groups. He said the Allahabad University authorities urged the district administration to cancel Akhilesh Yadav’s programme. In a statement released to the press after the political drama at Lucknow Airport, the Samajwadi Party president described the government’s move as the outcome of “the remote control politics off two and a half men”. Stating that he was stopped from boarding the flight to Allahabad to attend a student union programme, Akhilesh attacked the chief minister saying “it seems a general impression was that I would create a law and order problem”. Akhilesh went on to state that “they (the BJP government) have lost Uttar Pradesh, but more than an election, they have lost the faith that the youth of this country reposed in them”. The SP president said he stood with the youth of Uttar Pradesh and the country and they stood with him. Later, addressing a press conference at the party office, Yadav alleged that a reconnaissance/recce of his house was conducted on Monday night. He said the government’s intentions are not clear as it does not want him to meet the students. The SP chief said the details of his programme had been sent on December 27 and the details of his Prayagraj visit were sent again on February 2 but his programme was cancelled at the eleventh hour. Terming the decision as “very unfortunate”, Mayawati warned that this “undemocratic step will be fought at all levels”.